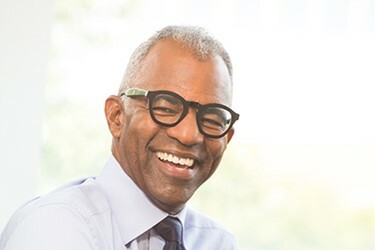 For the September issue of Life Science Leader I interviewed Tony Coles, M.D., chairman and CEO of Yumanity Therapeutics. In 2014, Susan Lindquist, one of the cofounders of Yumanity, asked Coles to lead the company. Two years later, on October 27, 2016, Lindquist passed away at the age of 67 from cancer. Coles says he knew about a year before her passing that she was ill. “We actually all thought she would be fine, and the early signs were that she had a strong fighting chance,” he recalls. “But she was clear eyed about what she could do and was as present as she could be.” Although Lindquist wasn’t involved in the day-today operations, she did chair Yumanity’s scientific advisory board, even when she was going through some intense therapy. “We obviously understood what the prospect of not having her with us meant, but we’d built such a strong team by that point that we thought we could transition all the learnings,” Coles shares. Lindquist was a member and former director of the Whitehead Institute, an investigator in the Howard Hughes Medical Institute, and a professor of biology at MIT. A member of the National Academy of Sciences, the Institute of Medicine and the Royal Society, her honors also include the Albany Medical Center Prize in Medicine and Biomedical Research (2016), the E.B. Wilson Award, the Dickson Prize in Medicine, the Otto-Warburg Prize, the Genetics Society of America Medal, the FASEB Excellence in Science Award, the Max Delbrück and the Mendel Medals. Beginning in 2004, Lindquist served on the board of directors for Johnson & Johnson, the only public company board for which she served. Less than a month after her passing, Johnson & Johnson established the $5 million Susan Lindquist Chair (endowed in perpetuity) for Women in science, at the Whitehead Institute for Biomedical Research, to be awarded to a female scientist to advance biomedical research.